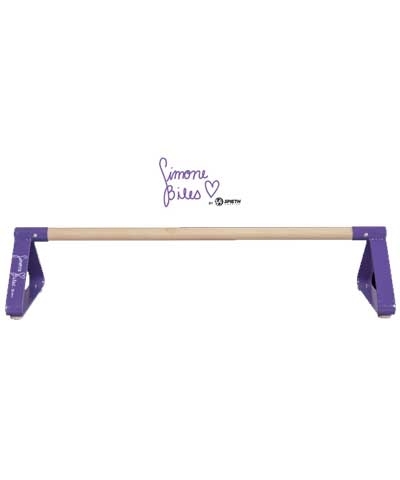 The Roly Poly Flexible Gymnastics Balance Beam is a great practice aid for the aspiring gymnast. 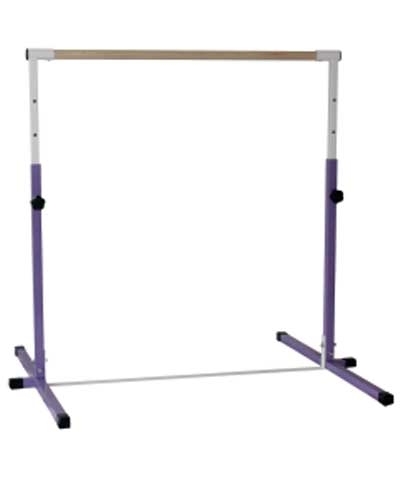 At 6" wide x 12' long x 1-3/8"or 2" thick, this floor balance beam rolls out anywhere. Practice cartwheels, walkovers and back handsprings safely at ground level. It easily rolls up for storage. 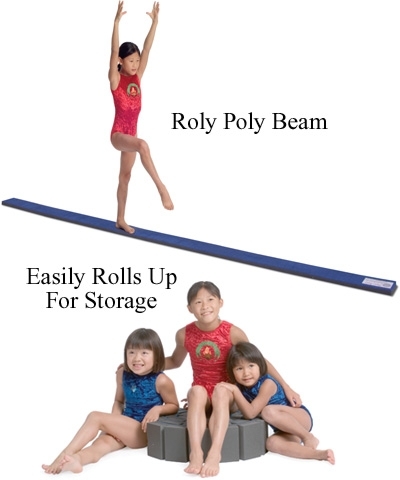 The Roly Poly Balance Beam is the same material as our competition gymnastics and wrestling floors. Carpeted Beams priced at $35.00 each are shipped in Blue, Red, Gray or Purple and 1-3/8" or 2" thick. Color and Thickness are not an option. Carpeted beams can be vacuumed. Vinyl Beams priced at $35.00 each are shipped in Blue, Red, Gray, Purple, Black, Navy Blue, Maroon, Orange, Gold(Yellow), Forrest Green and 1-3/8" or 2" thick. Color and thickness are not an option. Vinyl beams can be cleaned with any Anti Bacterial counter top spray cleaner. If the width or material is not shown in the drop down menu, it is currently out of stock. Free shipping to contiguous US. Normally $15.00 shipping. *NOTE: THIS ITEM SHIPS BY FEDEX GROUND PLEASE PROVIDE STREET ADDRESS WHEN ORDERING.